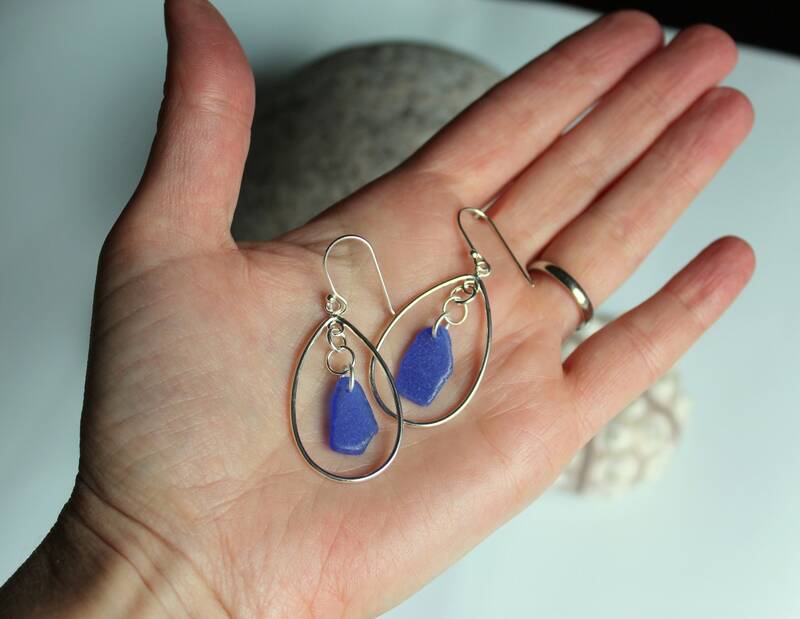 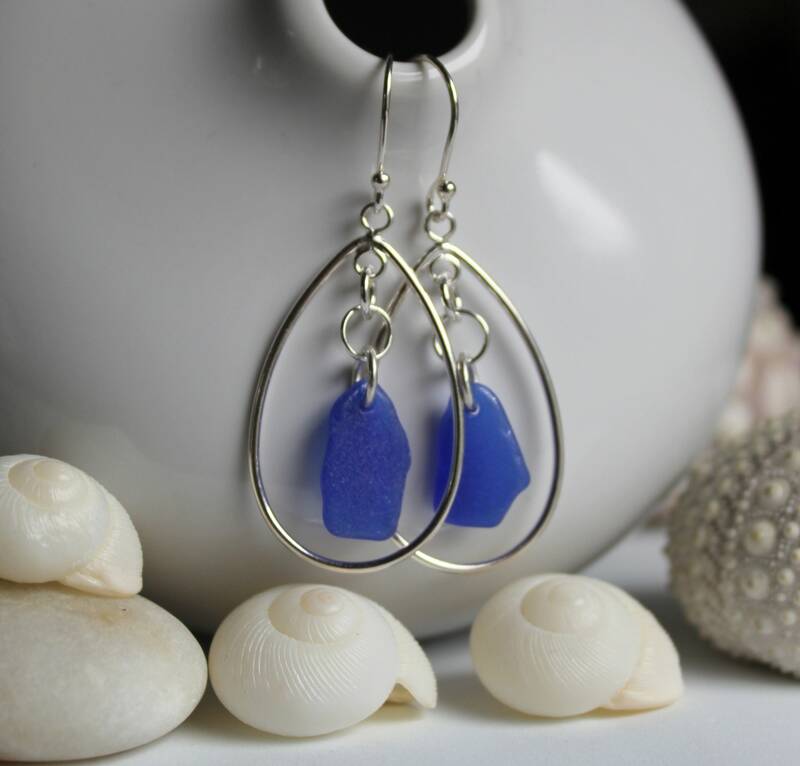 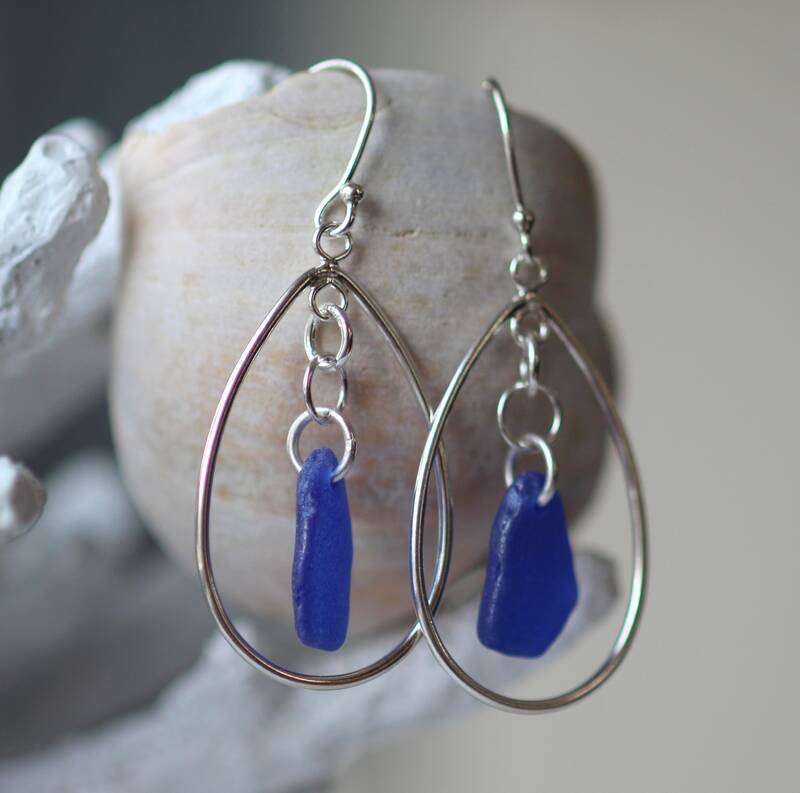 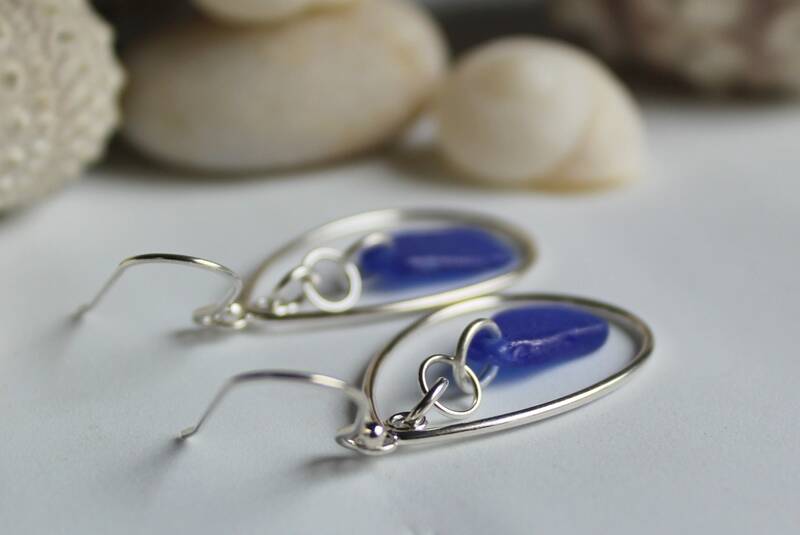 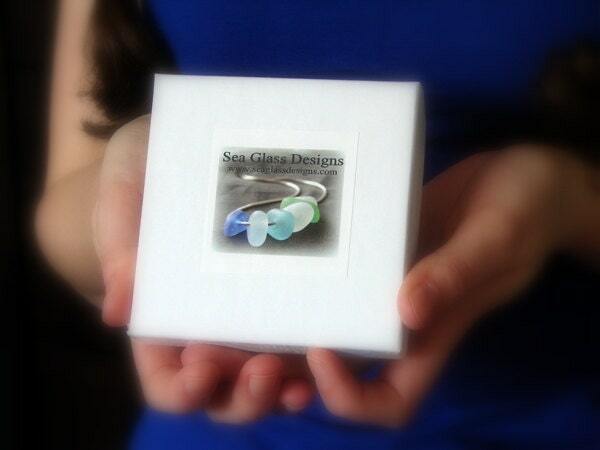 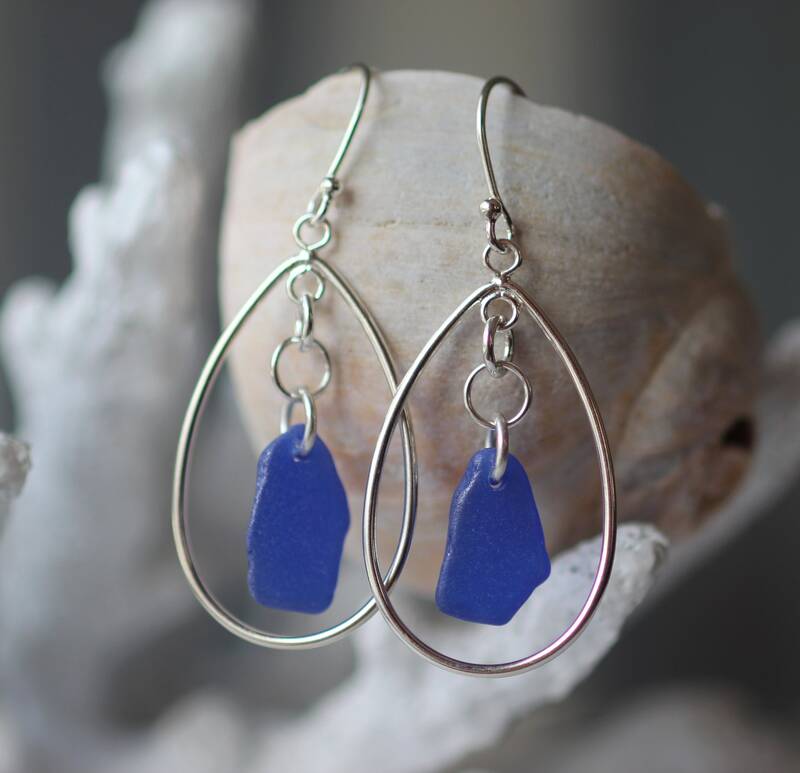 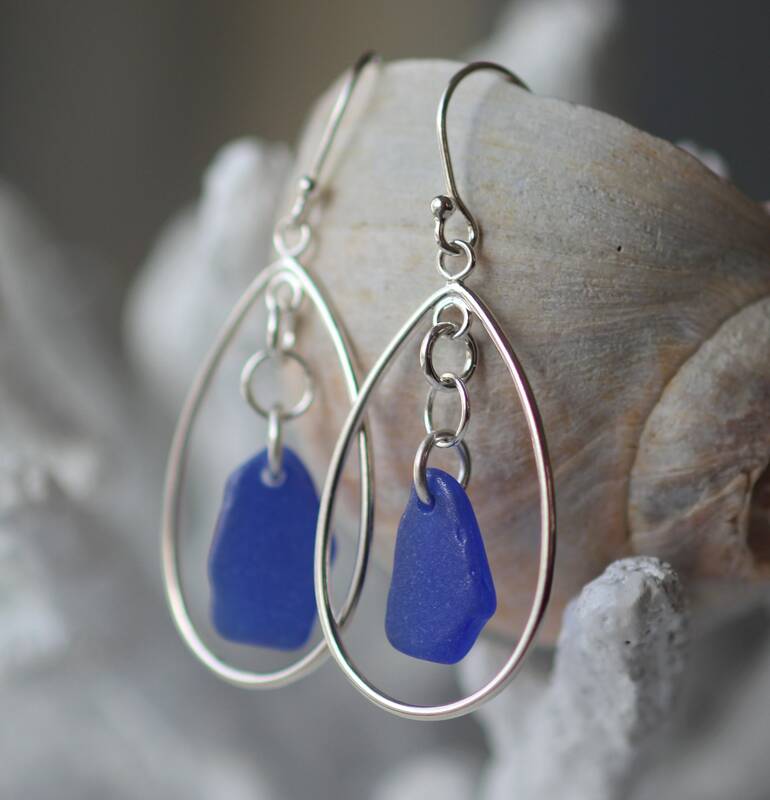 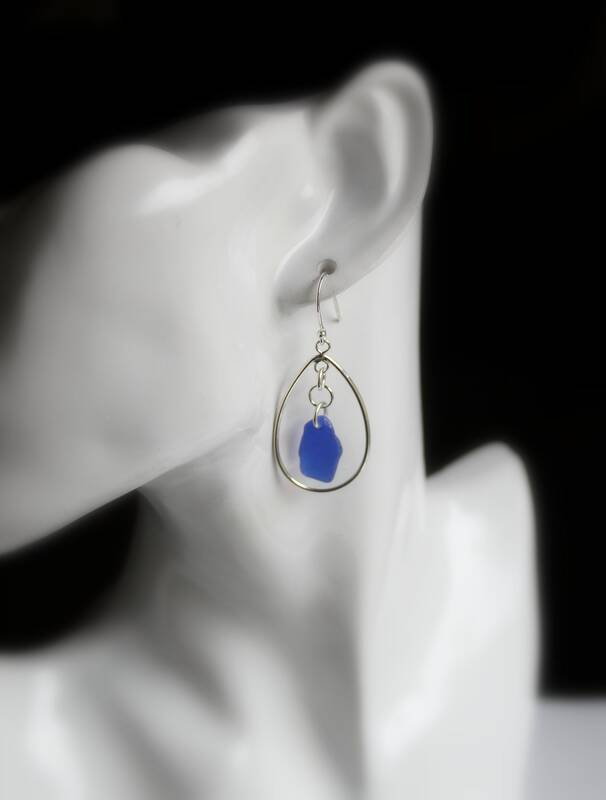 Our Sea Keeper beach glass earrings feature lovely pieces of cobalt sea glass framed in sterling silver ovals. 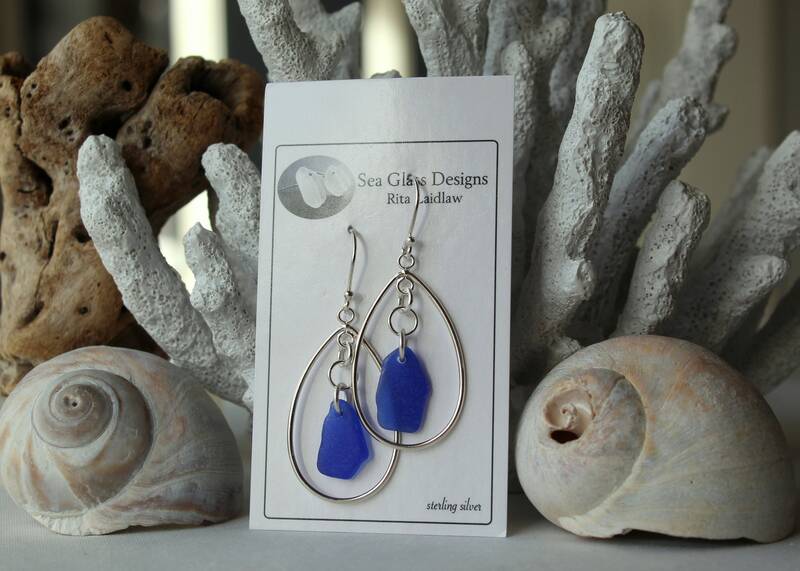 The cobalt and silver compliment each other beautifully in these lightweight earrings. 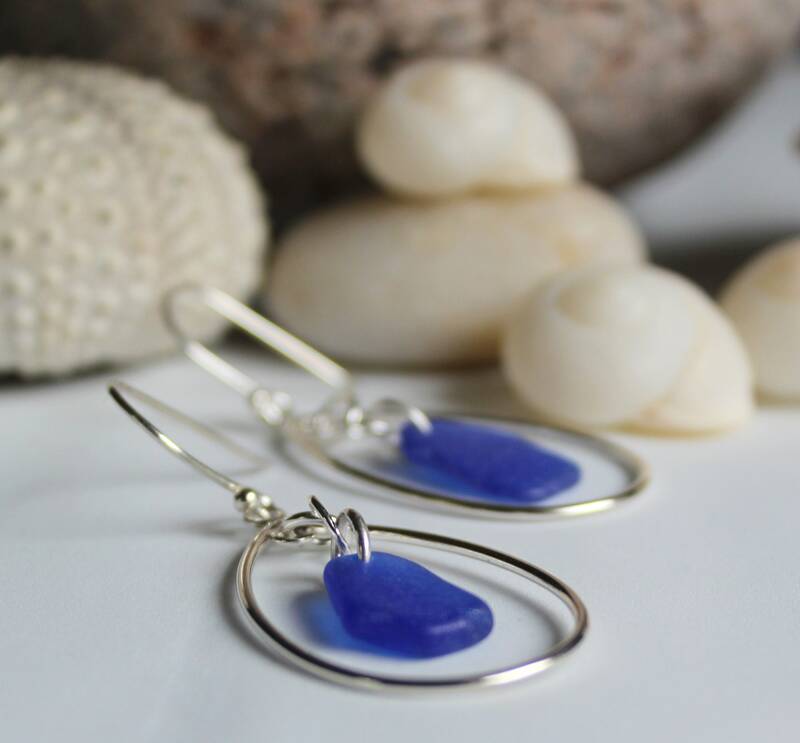 Our Sea Keeper earrings measure 2 inches in length.